This Absinthe is something very special. It is distilled with 26! herbs. This gives this Absinthe an extreme complexity. If you already have some experiences with detecting different herbs in Absinthes, you will especially enjoy this Verte. This Absinthe is something very special. It is distilled with 26! herbs. This gives this Absinthe an extreme complexity. If you already have some experiences with detecting different herbs in Absinthes, you will especially enjoy this Verte. 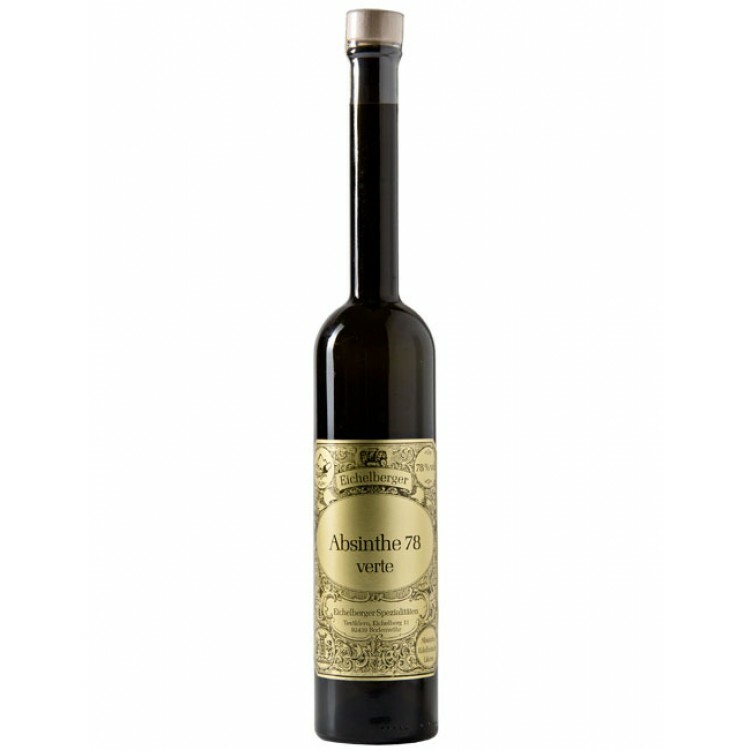 But Eichelberger Verte 78 is not only for Absinthe professionals. The herbs build a very balanced taste which can be enjoyed by professionals and beginners alike. Like every Eichelberger Absinthe this one has a very thick, milky louche and an intense aroma. 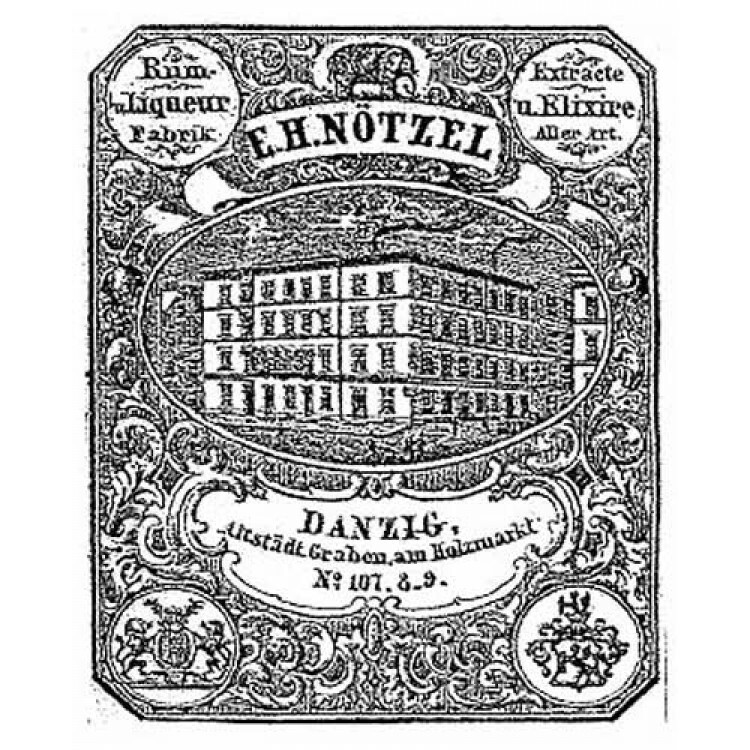 A great-grandfather of the Eichelberger family, Eduard Heinrich Nötzel, lived from 1800 to 1874 in Danzig. He assumed ownership of the wood wholesale trade business of his father but expanded the business very soon. An advertisement in an old newspaper shows, that he started to offer different spirits and essences, including an „Extracte d'Absinthe“. In his tavern "Zum Elefanten" ("To the Elephant") his specialties were offered. 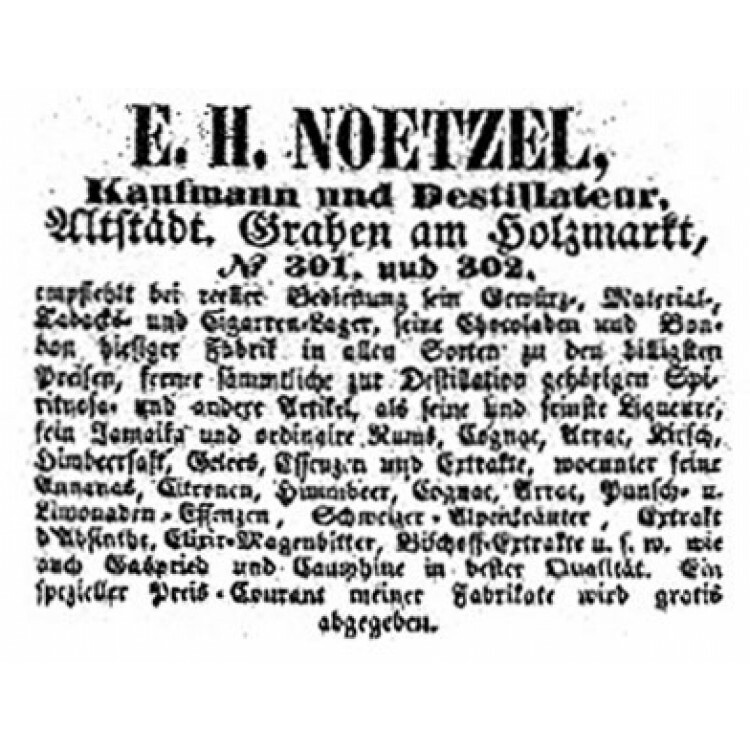 His son, Otto Luis Nötzel, continued the flourishing business. Unfortunately he died young and his son was too young to manage the company. Therefore the business was shut down around 1900. Due to the two world wars the history of the family heritage was almost forgotten. Until in 1997 the Wild family started again with the production of Absinthe in the Eichelberger distillery! My favorite absinthe in every way! 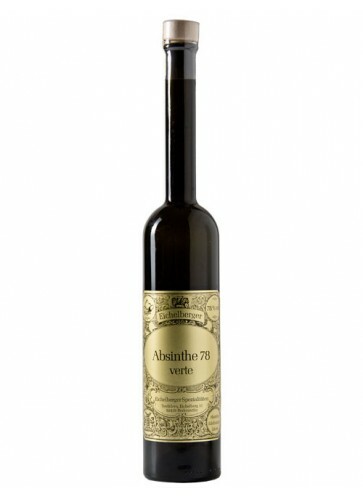 Verte 78 has a full bodied taste with a smooth creamy mouth feel, and gives of a very pleasing, sweet aroma. The louche is lovely and thick, with the slightest hints of forest green. Wow this is interesting stuff, I think the bottle is too small, but the price balanced that out, I am still a little miffed about this absinthe. I wonder why this isn't a bestseller though, the aroma is very pleasing. The taste is very ...... diffrent, and takes some getting used to but its very earthy and you can taste the herbs in it. Its got a sweetness to it and despite the fact its kinda strong you can't taste the alcohol in it, which surprised me, the louche is also beautiful. This is a absinthe that stands out apart from other brands, just from the fact that this has more herbs in it then any other brand if I am not mistaken, 27 I think. The effects are really nice also, overall this stuff is amazing. This Absinthe is great ! No doubts about it. You can taste and feel quality right after your first sip ! Eichelberger's Verte 78 does not have an OVERPOWERING scent of alcohol upon opening the bottle. It's aroma is complex as it of course let's you initiate your senses to it's wonderful herbs inside. My first taste was with NO SUGAR. Lovely.Cold water only people....I REPEAT: This Absinthe is great ! I have only once so far mixed ONLY a 1/2 teaspoon of cane sugar with it and TO ME it didn't even need it. If you like your Absinthe sweetened,then add sugar,but for ''real Absinthieurs,haha'' drink Eichelberger's with cold water only. Well worth your money.Just wish that they could make this in a 1L bottle.Maybe they will....Who knows except the Eichelberger family :p MF. Upon opening the bottle you are surrounded by a sensual, strong herbal aroma. It louches very quickly and thickly. The taste is incredible! I was wondering how it would be as it has 26 differnt herbs. They are so skillfully blended that I can't put my finger on any one taste. The flavor is full-boddied, rich and robust wthout the alcohol taste being overpowering. It is truly a delight to the senses. Whether you're new to absinthe, or have been drinking it for years - give this one a try, you won't be dissapointed! This is a very nice absinthe it is strong but it does the drink justice. Iam fond of the bottle design with a gold presentation, for all absinthe drinkers buy this won you wont be dissapointed trust me. This is also special because it has been distilled with many herbs which all ads to the taste.26 different herbs I think.